Evil Woman (Don’t Play Your Games With Me) was originally written and recorded by the Minneapolis band Crow for their debut album, Crow Music. You may recognize it as Evil Woman, a cover by Black Sabbath. The English rock band covered Evil Woman in 1970 for their debut album, Black Sabbath and was released as their debut single. Oddly, Evil Woman was not included on Black Sabbath’s debut U.S. album. It was replaced with Wicked World. Evil Woman was finally released by Black Sabbath in 2002(! in the U.S.) on the Black Sabbath compilation album, Symptom of the Universe: The Original Black Sabbath 1970-1976. Crow’s original version peaked at #19 in the U.S.
school teacher for the children of the president of a small Eastern European country, Slovetzia (a fictional country). The president, Boris Pochenko is played by Timothy Dalton. Despite the negative reviews and Drescher’s Razzie Award nomination for Worst Actress, The Beautician and the Beast made Paramount some money. Produced for just under $11.5 million, the comedy brought in $16 million. Whitesnake was the self-titled seventh studio album by the British rock band. Whitesnake sold over 8 million copies in the U.S., receiving an 8 times Platinum certification. Whitesnake was certified 5 times Platinum in Canada, Platinum in its native UK and Gold in Germany, Sweden and Switzerland. Whitesnake peaked at #2 in the U.S. and New Zealand; #3 in Finland; #5 in Canada; #8 in the UK and Sweden and #10 in Norway and Switzerland. The success of Whitesnake boosted sales of their previous album Slide It In. It boosted sales so much that it went from a Gold U.S. certification to a Double Platinum status. Whitesnake received a 1988 Brit Award nomination for Best British group. In Europe Whitesnake was released as 1987. Whitesnake was re-released in 2007 as a 20th Anniversary Special Edition. Five singles were released: Still of the Night, Crying in the Rain, Here I Go Again, Is This Love and Give Me All Your Love. Still of the Night hit #16 in the UK and #79 in the U.S. Crying in the Rain was originally recorded for their 1982 album, Saints & Sinners. It was re-recorded for this album and said to be inspired by singer David Cloverdale’s divorce. It was used as a promo single. Here I Go Again was also originally released on Saints & Sinners and re-recorded for Whitesnake. This 1987 version hit #1 in the U.S. in October 1987 and #9 in November 1987 in the UK. Here I Go Again also topped the Canadian chart. Here I Go Again sits at #17 on VH1’s “100 Greatest Songs of the 80s” list. The power ballad Is This Love reached #9 in the UK and #2 in the U.S. Is This Love was rumored to have been written by Cloverdale and guitarist John Sykes for Tina Turner. Good thing for Whitesnake that they kept it. Is This Love remains their second-biggest American hit behind Here I Go Again. Give Me All Your Love peaked at #48 in the U.S. and #18 in the UK. It remains a mainstay on the band’s set list to this day. snake whose body is divided into rectangular pieces. From archaeological evidence, the game was played with lion or lioness shaped game pieces in sets of 3 to 6 and small spheres or marbles. Mehen is considered to have been a race game. the dresses were getting stuck on the accelerators, the brakes or caught in the doors. Raising the hemline up to the ankle relieved the risks slightly. Blackout All-Star’s cover of I Like It Like That in their commercials. I Like It Like That gained traction again and it went back on the Hot 100 to again peak at #25. 25 successful title defenses. Louis was born near Lafayette, Alabama. He was the 8th child in his family. At age 2, his father was committed to a state hospital. Receiving little education, as a teen Louis worked odd jobs. When his family relocated to Detroit, he worked at the River Rouge plant of the Ford Motor Company. For a while he considered a career in cabinet making. Louis also took violin lessons. At school a friend recommended he try boxing. By 1934 he held the title of National Amateur Athletic Union Light-Heavyweight. His amateur career record was 43 knockouts in 54 matches. In his first year as a pro, by the end of 1935, he fought 14 matches and won $370,000 in prize money. His first professional defeat was on June 19, 1936 to Max Schmeling, a German boxer and a former heavyweight champion. Louis would himself win that title on June 22. 1937 by defeating Jim Braddock, whom he knocked out in the 8th round. Louis would continue to hold that title for 12 years. On March 1, 1949, Louis retired. He became broke shortly after. Louis briefly (and miserably) returned, before retiring for good on October 26, 1951. Money was a constant issue for the remainder of his life. He tried wrestling and even set up a chain of interracial food shops. In 1970 Louis’ wife committed him into a Colorado psychiatric hospital due to his paranoia and cocaine addiction. After surgery to correct an aortic aneurism, Louis was confined to a wheelchair. At the time of his death, Louis was working as an “official greeter” at Caesars Palace. Louis died from a heart attack on April 12, 1981 at age 66. Louis was married four times and had two children. Louis was inducted into the Ring Magazine Boxing Hall of Fame in 1954 and the International Boxing Hall of Fame in 1990. In 1982 Louis was posthumously awarded a Congressional Gold Medal. The A-List series takes readers behind the scenes of the intoxicating world of Hollywood glitterati. 17-year-old Upper East Side blueblood Anna Percy is on her way to Beverly Hills to move in with her estranged father for the remainder of the school year. Her mother is going to travel Europe with a friend. On the plane, Anna gets hit on by record producer Rick Resnick. Princeton student Ben Birnbaum saves her by inviting her to attend famous actor Jackson Sharpe’s wedding. There she meets the cast of the rich and famous characters who are soon to be her classmates at Beverly Hills High, including her new friends, Samantha Sharpe, Camille Sheppard and Delia Young. The original incarnation of the A-List series include 10 books. The last being California Dreaming, published in April 2008. As of March 2010, The A-List series has 3 spin-off books. The A-List book series were written by Zoey Dean, a pseudonym for the creators of The A-List series and How to Teach Filthy Rich Girls, which was turned into a TV show, Privileged for the CW network in September 2008. Dean’s books are produced by the media packager Alloy Entertainment that created Gossip Girl and The Clique Series. The Dean pseudonym has been used jointly by writers Cherie Bennett and Jeff Gottesfeld. These two have written for the TV soap operas over the years, notably the Young & the Restless. 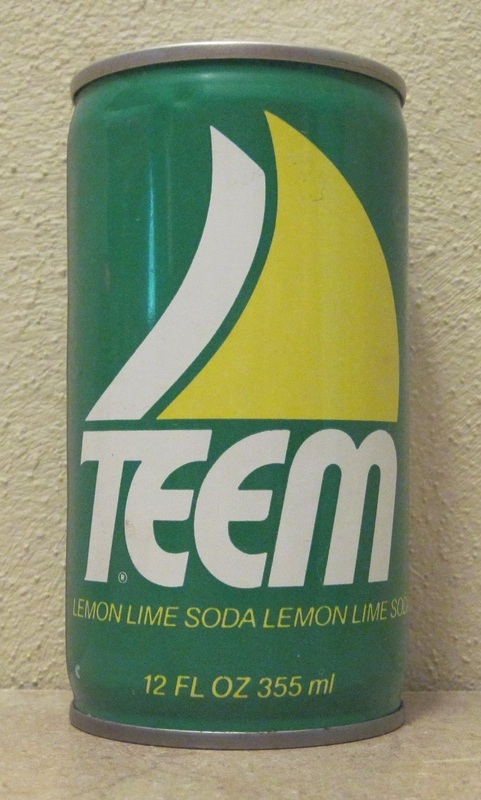 Introduced by Pepsi in 1960, Teem was a lemon-lime-flavored soft drink designed to compete against 7 Up and Coke’s Sprite. Teem was sold in Canada and the U.S. until its sales declined dramatically and was discontinued in 1984. Into the 1990s, Teem lived on as Lemon-Lime Slice in some soda fountains. In the U.S., Teem’s closest relative is Sierra Mist. Teem lived on in most international markets until the 1990s when Pepsi authorized vendors to replace it with 7 Up. Today, Teem is still available in Brazil, Uruguay, Honduras, Egypt, South Africa and Pakistan. Based on the dolls, The Adventures of Raggedy Ann and Andy was an American animated TV series that aired from 1988 to 1990. Raggedy Ann (voiced by Christina Lange) and Andy (Josh Rodine) would come to life when no humans were present. They would be whisked into a parallel world to save its inhabitants from an evil, but inept sorcerer named Cracklin. Aiding Ann and Andy were two of Marcella’s (Trach Rowe) other toys — a panda known as Grouchy Bear (Charles Adler) and a stuffed rabbit, Sunny Bunny (Katie Leigh). Only 13 episodes of The Adventures of Raggedy Ann and Andy were produced.